Erase Autocad 2016 tutorials for beginners Part 23. https://youtu.be/5dVNsoLogP8 . Step by step autocad 2016 basic tutorials for beginners. In this video we will learn to use the Erase command in autocad 2016. This command is using to erase the selected objects in a drawing. You can select objects and press delete button on keyboard also. By using this command, you can delete the objects just by clicking on the desired object. You can erase selected objects from the drawing. This method does not move objects to the Clipboard, where they can then be pasted to another location. Instead of selecting objects to erase, you can enter an option, such as L to erase the last object drawn, p to erase the previous selection set, or ALL to erase all objects. You can also enter ? to get a list of all options. 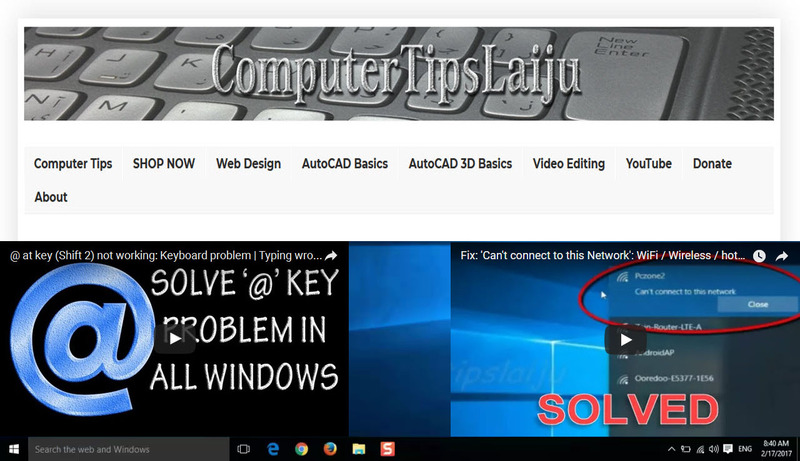 For learning about other commands on autocad, watch the basic tutorials on the Youtube channel: autocadtips_Laiju.